A beautifully written first-hand account of how bitter and deadly rivalries dashed the hopes of the world’s newest nation. Peter Martell has reported from South Sudan for more than a decade, including as the BBC correspondent in Juba for the three key years around independence. He later ran AFP’s East Africa bureau as its news editor. 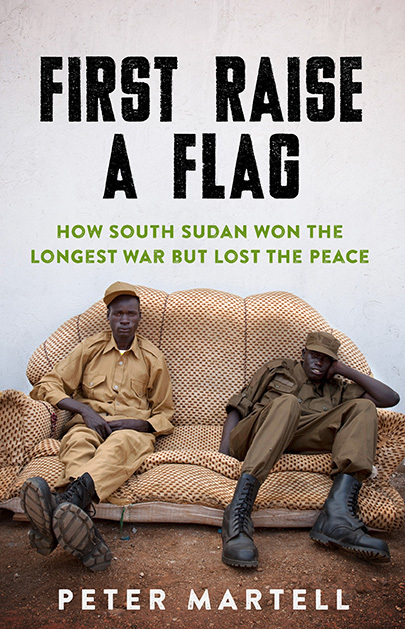 ‘I relished Peter Martell’s First Raise a Flag , which examines how Africa’s newest nation state plunged back into civil war so soon after its hopeful, excited birth. Martell spent more than a decade reporting the story and it’s an account full of vivid, telling detail.’ –The Spectator Books of the Year 2018, selected by Michela Wrong.